The Regina Humane Society has, throughout the years, worked to improve the welfare of animals through programs and services in sheltering, education, protection and advocacy in the city of Regina and the surround area. They’re a pillar of the community and the first stop for most when planning on adopting an animal. We worked alongside Kristian Fraser to design and develop an advanced website that will better showcase the services, events, news, and of course, their animals available for adoption. Tying into their current systems, we developed a custom importer to get animal data from Shelter Buddy, their animal management software. 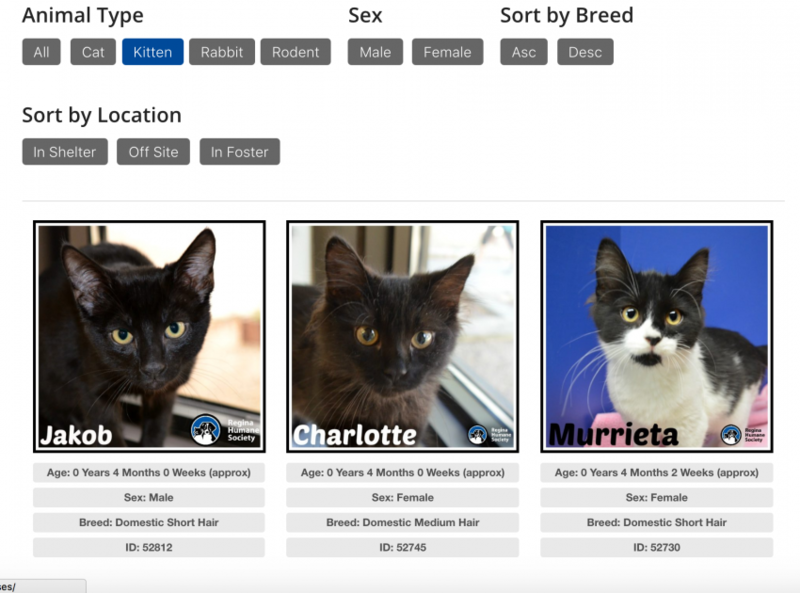 This data is then formatted into a custom post type with custom taxonomies and meta to allow users to filter pets available for adoption based on Animal Type, Breed, Age, and gender. eCommerce integration with subscriptions and Moneris payment gateway integration. We’re proud to be able to work with such an important charitable organization that is helping save lives on a daily basis.